One of the most difficult decisions we face at Kids Alive Kenya is choosing which of the numerous vulnerable children we can rescue and bring into our residential care because of space constraints. The communities that we serve are in great need of help, with many families struggling just to survive. Our Keeping Families Together initiative allows Kids Alive to help care for more at-risk children who have at least one parent or grandparent, because the children can remain in their home under the care of their adult relative. Such support for the child may include an education, health care, at least one meal a day, essential clothing, and other basic needs, depending on the family circumstances. Keeping Families Together also assists the adult relatives themselves. This may include health care and helping them start an income-generating project of their own, so they can grow toward being financially independent. Through this program, we help them identify a business they can start, give them the necessary training, and support them by offering the seed-capital they need to begin. In the process, these individuals regain dignity and self-respect as well as having a way to provide for their families. Reaching out to these families in need not only shows the love of Jesus in practical ways, but also opens doors to share the transforming Gospel message. 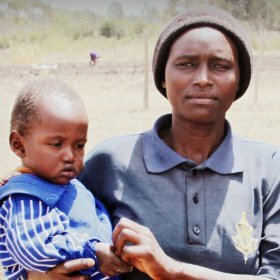 Support the Ministry of Keeping Families Together Kenya with Your Gift Today.